I'm trying out one of the December releases from My Favorite Things. I've used a number of dies from MFT along with some new paper I got last week. I also paper pieced the man's suit and the woman's dress. This is beautiful, Janet! 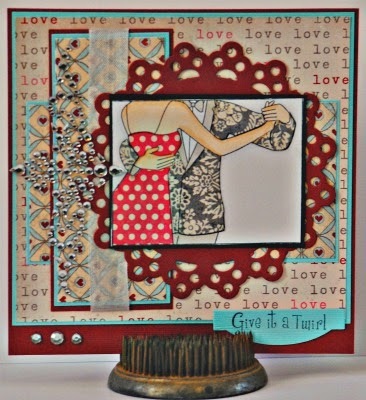 Love your paper piecing! Brilliant card, great paper piecing.